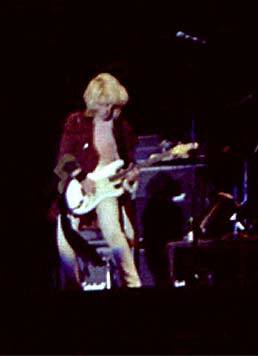 The twentieth festival and this year really saw the transformation to a festival that was dominated by heavy rock music. 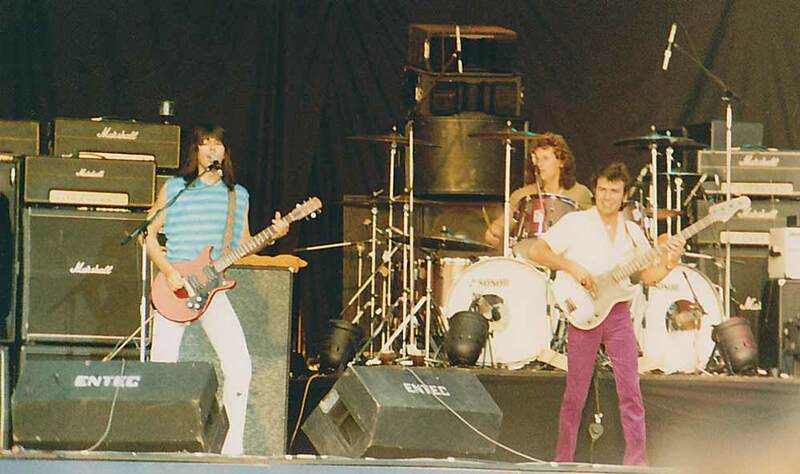 The brief experiment with new wave was gone and in its place was a slew of bands that were more likley to meet with approval from the mainly metal orientated audience . 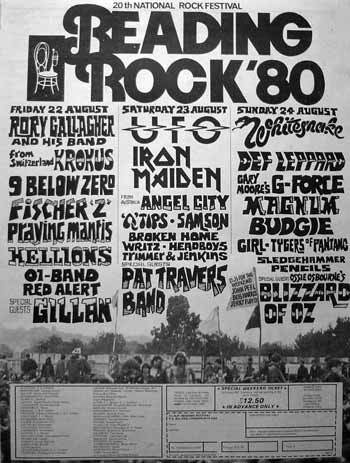 It was probably inevitable that the festival would begin to concentrate on Metal after the violence of 1979 between New Wave and Metal fans ,as it made commercial sense for the promoters to go with the big crowds that would attend a heavy rock show, but it was a shame that the once eclectic festival line up was now more or less dominated by just one sort of music . 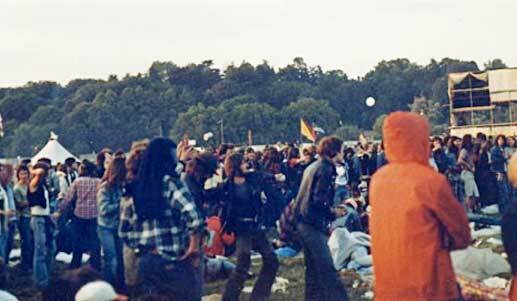 If there were any other sorts of act on this bill they would probably have fared badly and even heavy bands who were out of favour could also receive rough treatment from the crowd. 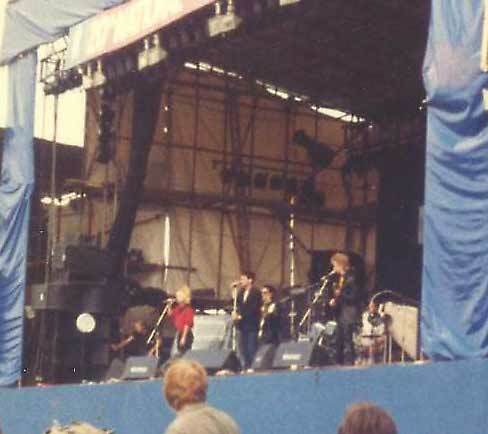 Def Leppard were initially on the receiving end of a rain of mud, cans and rubbish because they were perceived to have "sold out " . Photo courtesy of Jana Chrzova © visit her pages to view more . 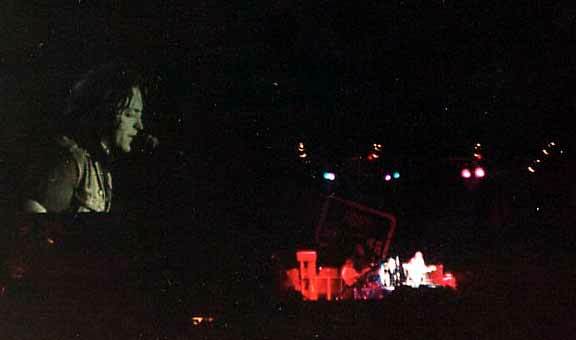 However, there was still room on the bill for blues rock stalwart Rory Gallagher , some of the old Reading favourites seemed to be able to transcend the genres . 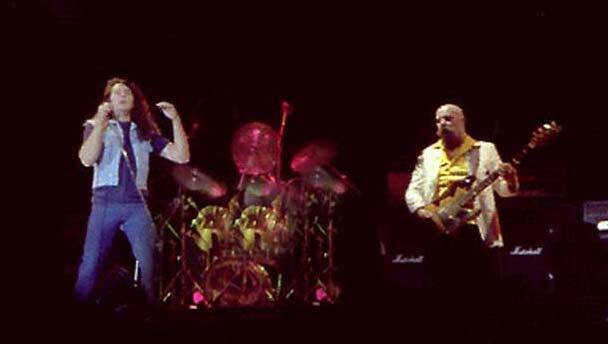 But artists like Gallagher and Hawkwind were the exceptions to the rule , for the early part of the next decade , Reading was to become the one of the major UK Heavy Rock festivals, rivaled only by the aptly named Monsters of Rock festival held at Castle Donnington in the midlands, this catered for the REAL headbangers, but Reading gave it a run for its money on occasions. Angel City * replaced by Grand Prix. NB : Acts are listed in order of appearance . *The Pencils did not play at the festival, as they had all their equipment stolen the night before. I think they even split up after the fact that this happened, but cannot confirm that part. 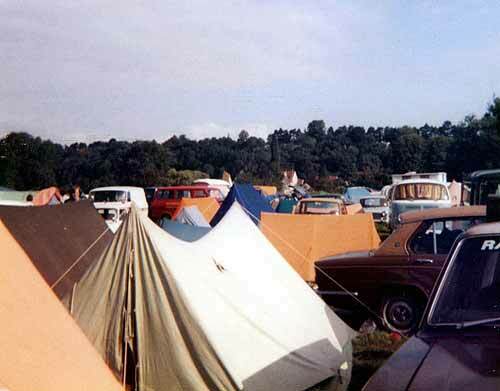 There were also more busts , not sure how many , but Reading was pretty hard on its festival goers ,( who brought in a lot of loot that boosted the towns coffers) Ironically one of the worst riots at a UK festival occured way back in 1960 and that happened at , of all things, a Jazz festival . 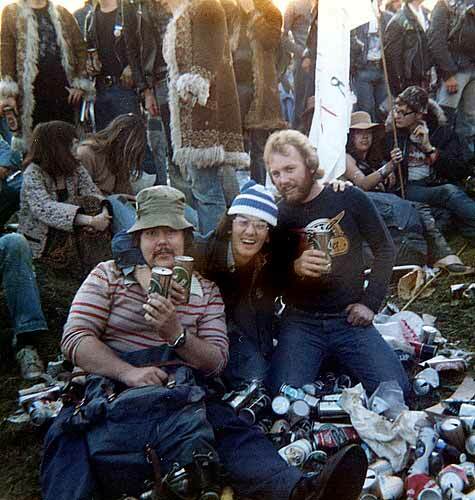 Another hail of cans , pity the poor roadies ! 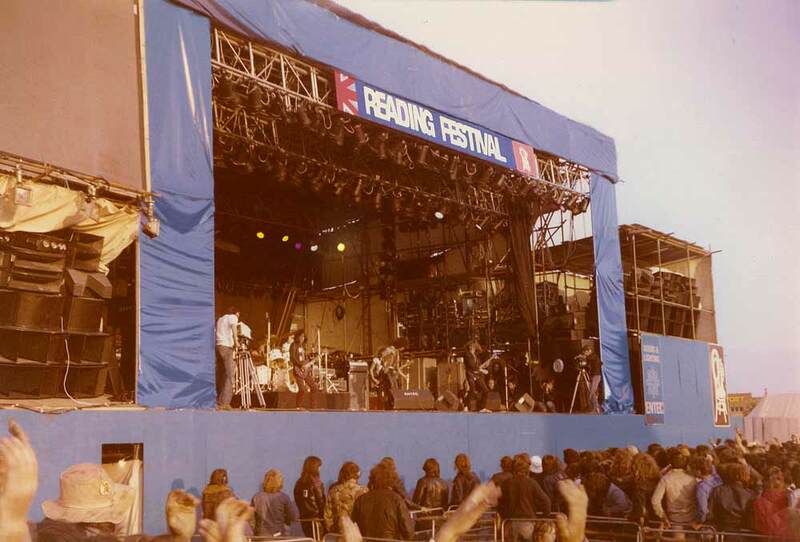 I found my parents on stage at Reading in 1980 !. I had no idea they played there! 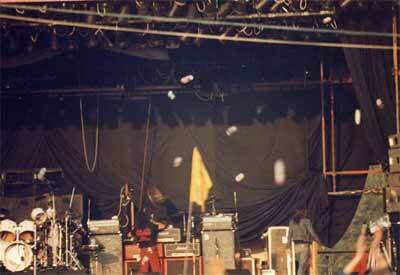 They were in a band called Writz (later Famous Names and Techno Twins) and played on Sat 23rd Aug 1980. My dad passed away in 1993 - so to see that photo is incredible. Many thanks for archiving all this stuff - you're doing a great job! Thanks to photographers Stuart Alexander, Stephen Vaughan , Pete, Paul Brannigan , Ainsley Casson , Mike Evans , Phil Ryan and Ferg Ranson for allowing us to use their pix of the festival. 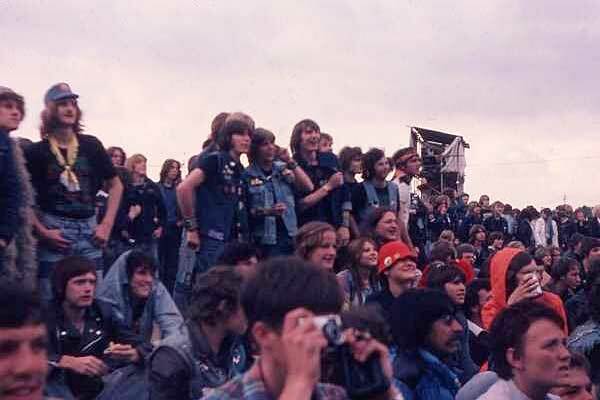 You can also see more pix from Reading 1980 by looking at Alan Perry's excellent photos of Reading 1980, you can purchase copies of these pix at his website where he has oodles of top photos of metal bands from the 70s to date.